Salon Invi, a leading hair salon located just outside Boston in Andover, MA, is now offering their Brazilian Blowout service in a package at a discount, but only for a limited time. The Brazilian Blowout is one of the most popular services offered at Salon Invi, located just outside of Boston in lovely Andover, MA. The results are nothing short of spectacular, and guests rave about their silky smooth locks. For a limited time, you can get a Brazilian Blowout from the experts at Salon Invi at an incredible price. The Brazilian Blowout is a popular hair treatment that results in silky, shiny, straight hair. Unlike a traditional blowout, the Brazilian Blowout utilizes high-quality keratin and amino acids to provide a longer-lasting result. Keratin is the protein that keeps your hair and nails healthy and strong. The service is performed exclusively in salons, and because it is comprised of several individual steps that must be performed very precisely, it can take anywhere from one to two hours to complete. If you have naturally curly or wavy hair, or if your hair appears damaged and over-processed, a Brazilian Blowout is a great way to relax your hair and restore its natural luster. Not everyone will see perfectly straight hair after a Brazilian Blowout, but the treatment will make it much easier (and much faster) for you to style your hair straight if you have naturally curly or wavy hair. It is important to avoid highlighting or coloring your hair for two weeks after the treatment, as well, but you can have your hair colored or highlighted just before the Brazilian Blowout service. The blowout will last about three months on average, but you will see better and longer-lasting results if you use products – including shampoo, conditioner, and styling products – that were designed to be used after the Brazilian Blowout. The products provided as part of the Brazilian Blowout package at Salon Invi were especially designed to extend the life of the treatment and provide you with healthy, shiny, and lustrous hair for many weeks to come. From April 23rd through the 30th, you can get your own Brazilian Blowout package for just $300. 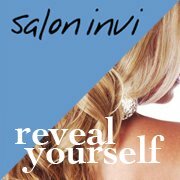 To learn more about the experts at Salon Invi, feel free to visit their website. You can also schedule your blowout by giving them a call at (978) 378-3333 or by booking online. About the Company: Salon Invi is located on Chestnut Street in beautiful Andover, MA just outside of Boston. The owner, Christopher Kishfy, owns several salons throughout the area. Salon Invi is focused on providing a modern experience that allows guests to realize their visions of themselves through self-expression in terms of hair color, cut, and style. The salon’s collective talent and fun, pampering atmosphere provide an extraordinary experience for guests. For more information please visit http://saloninvi.com/. Top rated Boston area hair and make-up salon, Salon Invi located in Andover, MA offers ultra-modern, stylish and professional hair stylists. Voted top North Shore hair beauty salon. Call 978-378-3333 to make appointment.